CBA Collection, Vol. 3 sold out; others going fast! 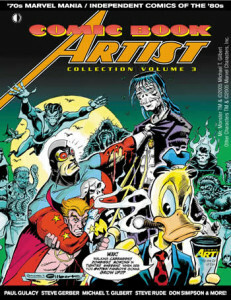 We just sold our final copy of Comic Book Artist Collection, Volume 3. Thanks to all our fans for giving it such a long, happy life! If you haven’t checked out our current CLEARANCE SALE, give it a quick look. Many other items are close to selling out, so this may be your last shot at getting them (and they’re on sale to boot!). You can find the sale list HERE! This entry was posted in TNT on 9 March 2017 by Mr. Morrow.